 For over fifteen years, the Fiber Broadband Association has advocated for policies and regulatory approaches to help communities get better broadband. Below are some of the issues we have worked on, and will continue to work on. We welcome your support and questions and we encourage you to visit our blog, where we post timely information on policy proposals and news. The Fiber Broadband Association advocates for public policies and regulatory approaches that will encourage rural telecom service providers to upgrade to all-fiber connectivity because we believe that people living in rural communities need the highest possible connection speeds as much as anyone else. As such, we believe a critical objective should be a Universal Service Fund program that strongly encourages rural service providers to invest in next-generation networks. The link between the availability of high-performance broadband services and local economic development has never been more obvious, and USF is critical to ensuring that rural communities are able to compete, grow and prosper in the 21st century. The Fiber Broadband Association has long supported -- and championed -- the creative partnerships between communities, private companies and nonprofits for bringing fiber to their homes. From Chattanooga, TN to Kansas City, MO and KS, to Quitman, MS — every community has a unique set of assets that can accelerate investments in essential, all-fiber networks. And every community must be able to use those assets in the manner best suited to their economic situation and citizens. The Fiber Broadband Association believes we can and should do more to make the process for deploying all-fiber networks more convenient and more efficient, and therefore, less expensive. Construction costs are between 60 to 80 percent of a next generation fiber broadband deployment. Over the last few years, the fiber industry has made considerable strides and technological advancements in making ultrafast broadband easier and cheaper to deploy. Techniques like “micro-trenching” have reduced the costs of in-ground fiber deployment and, equipment vendors have developed simple plug-in devices to reduce the need to splice fiber cable. But while the advancements in technology make a big difference, government agencies at all levels have a major role to play, and they need to work harder to streamline the process of deploying these networks and otherwise lower the costs of these large-scale construction projects. These include Dig Once policies for laying fiber conduit and One Touch Make Ready policies to streamline pole attachments for deploying aerial fiber. These low to no cost policies could cut the costs of fiber construction by an enormous amount and we urge all government entities to adopt them. The Fiber Broadband Association has worked with the National Telecommunications and Information Administration at the U.S. Department of Commerce to provide recommendations to the inter-agency Broadband Opportunity Council. We advocated the federal government must promote comprehensive strategies to lower regulatory barriers while facilitating all-fiber network builds. As part of that strategy, the Association has offered two proposals to the Broadband Opportunities Council today: an online broadband deployment handbook and an interagency consulting service to assist communities and network operators with finding funding, dealing with access to federal poles, ducts, buildings and rights of way regulations and actually deploying a network. These proposals will help broadband providers and communities break down information barriers and deploy better, faster, fiber broadband that enables digital life in our communities. The Association is happy for the opportunity to offer comments on how the federal government can promote broadband deployment and give communities useful, actionable information. We look forward to continuing to collaborate on these efforts.